Hot biker must be safe at riding motorcycle. Protecting your feet is as important as protecting your hands. Your boot needs to have a flexible sole so that walking is comfortable and not awkward. A waterproof inner layer is really important to keeping your feet warm and dry. There are several excellent waterproof boots on the market and you can also find gloves or helmet that are waterproof. The prices are middle and affordable for any rider. There are all kinds of boot manufacturers. 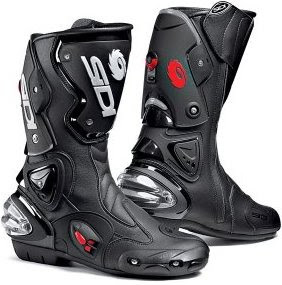 Some specialize in just motorcycle boots while others have a full line of shoes with them. 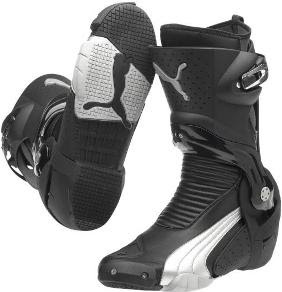 What's most important is that the boot has the features you are looking for and fits like a glove. Usually waterproof boots are made with a leather upper and large flex zone on the instep. The ankle support is very important to watch for as it keeps your foot safe and an injected PU at the heel is really a good investment too. Motorcycle gloves, boots, jackets, and helmets are all important gear to help keep you safe. And it can also make you look very trendy so be sure to do your homework and shop around a little before you make your purchase. So wear the gear, and ride with safety. I am willing to introduce motorcycle clothing , made in Leather and Textile. 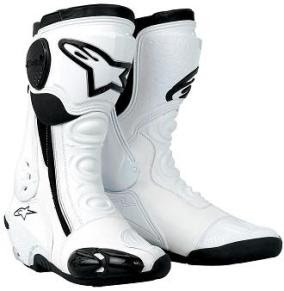 We are also having a range of accessories like safety jacket and gloves for bikers. I think the black boots are awesome. All options are nice but black one is the best. You have worked hard on jotting down the essential information. Keep sharing the good work in future too. Those are some nice jackets, but I'm looking forward to sporting one of the helmets in the other post. yes leather motorcycle jacket is the perfect choice for riding your motorcycle and important to care this biker jacket, very good post for care biker leather jackets thanks very much.. Very nice tips, I had my jacket for 3 years and I had to change it as I didnt take too much care of it, with your tips ill give a longer life to this one. Thx. That is a nice equipment for driving motor-bike. Good choice. The leather jackets can help protect us from damage. Nice preparation. This post is great. Very informative and useful. all the stuff are fantastic. Hi, good post. I have been pondering this topic,so thanks for sharing. I’ll likely be coming back to your posts! I found your website very useful with many, thanks! this site is just excellent! Cùng ch play khám phá kho ứng dụng khổng lồ, bạn thỏa thích tải game, tải phần mềm một cách nhanh chóng và dễ dàng. download ch play - download google play - - tai ch play apk ngay bây giờ để tải các ứng dụng tuyệt vời cho dế yêu các bạn nhé.